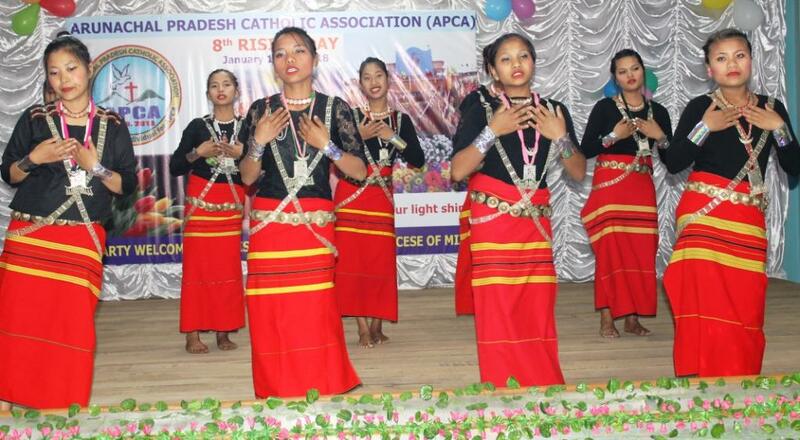 It was a colourful confluence of various cultures of Arunachal Pradesh at the 8th Foundation Day celebrations of Arunachal Pradesh Catholic Association (APCA) at Miao on 20 January 2018. 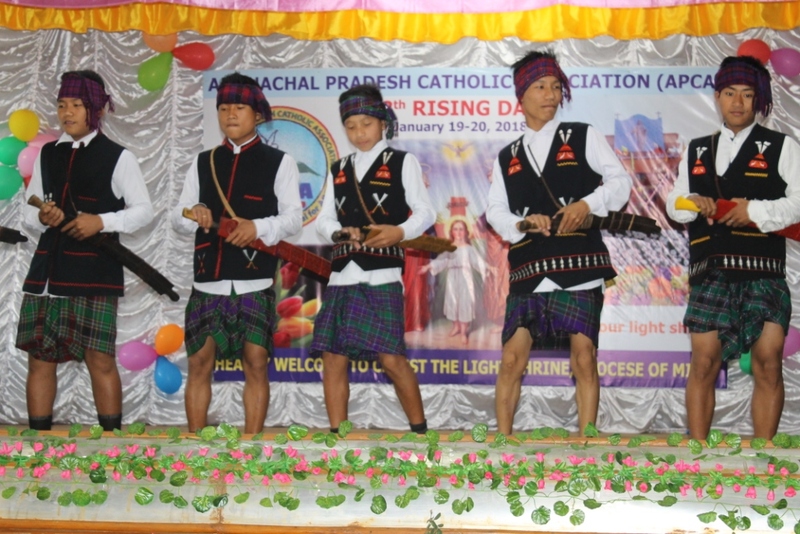 Held first time at the eastern part of Arunachal Pradesh, the 8th Foundation Day of APCA saw the confluence of various cultures of Arunachal Pradesh at Christ the Light Seminary, Miao on 20 January. “This is the beauty of the Church. It brings together people from various linguistic and cultural background”, said Mr. Taw Tebin, the President of APCA. Speaking at the inaugural function, the chief Guest, Mr. Kamlung Mosang, Cabinet Minister of Government of Arunachal Pradesh, appreciated the contribution of the Catholic Church to the people of Arunachal especially in the field o education and healthcare. “The Church has come a long way”, he said, “from being forbidden to enter Arunachal Pradesh to being in the forefront of education and healthcare to the people of Arunachal”. He also stressed on the fact that most of our present leaders in the Country and in the state have received education from Catholic institutions. “Our being kind and compassionate to the poor and the needy at times could be misunderstood as enticement to conversion. Those who received education from Catholic institutions know who we really are. Let us keep doing the good work, said the Minister, who is also one of the members of the APCA Advisory Board. 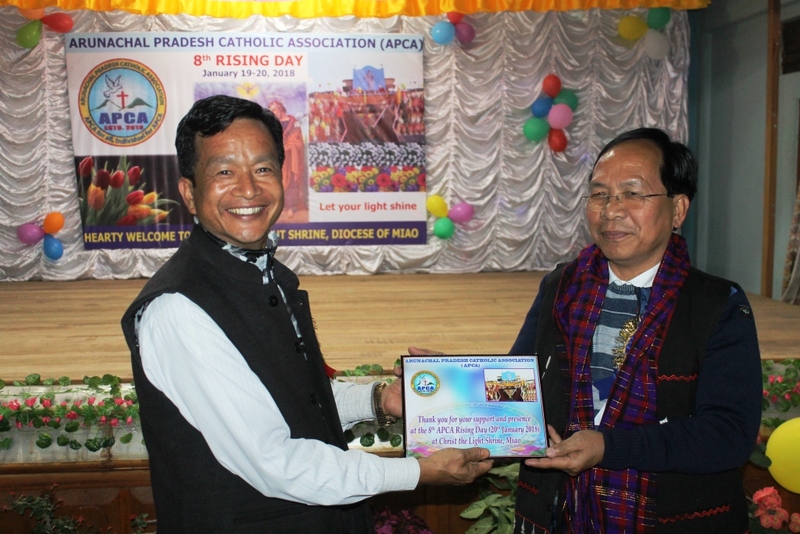 APCA that comprises of Catholic from the two dioceses of Arunachal Pradesh, Itanagar and Miao, has two patrons – Bishop John from Itanagar and Bishop George from Miao Diocese. Bishop George, who was present for the occasion, blessed the delegates from across the State. “We are going through troubled times. The Church has witnessed unprecedented persecution across the World. In my opinion, these occasional discomforts are good for us and the Church. It keeps us awake and does not let us be complacent”, he said. “Today we stand witness to the universal nature of the Church. It is so beautiful to see East meet West. We are not a clan-based Church; not a Tangsa church, or Singhpho church or a Tagin church, a Nishi church but Catholic Church”, he added. Mr. Mungtan Mossang, the APCA President of East Arunachal Pradesh thanked the delegates for coming from faraway places to be a part of this event. 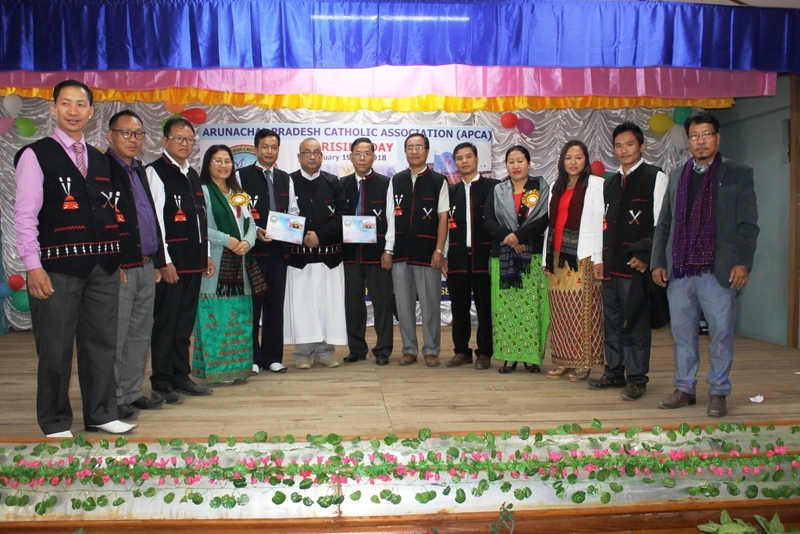 The APCA General Secretary Mr. Pekhi Nabam and Mr. Takam Majeng, the Finance Secretary, and host of other dignitaries also spoke on the occasion. 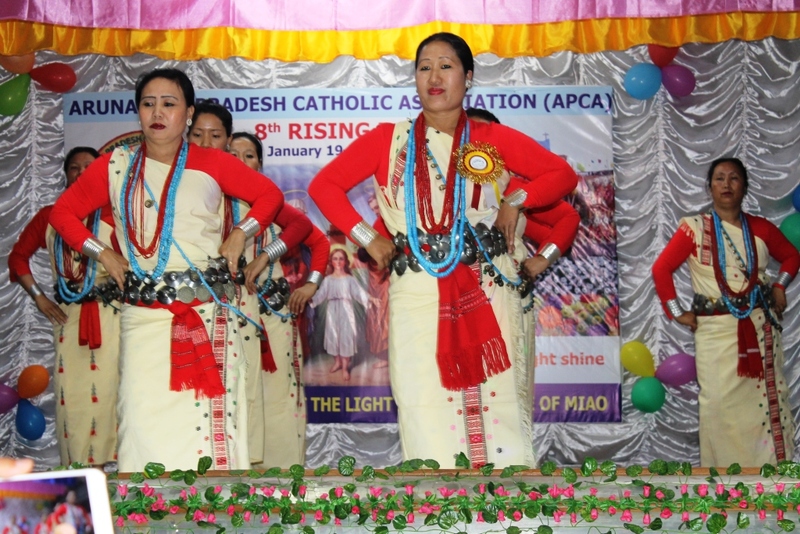 The 8th Foundation Day of APCA saw Nishi, Tangsa, Adi and many other dance troupes from across the state perform on stage.